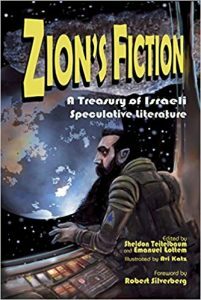 Zion’s Fiction: A Treasury of Israeli Specula­tive Literature, Sheldon Teitelbaum & Emanuel Lottem, eds. (Mandel Vilar Press 978-1-94213-452-7, $24.95, 336pp, tp) September 2018. It’s nearly 45 years since Jack Dann’s ground-breaking anthology of Jewish fantasy and SF Wandering Stars, and as he pointed out way back then, a lot of American SF had already been shaped by Jewish writers and editors, from Asimov, Avram Davidson, and Horace Gold, to Ellison, Silverberg, Tenn, and Pamela Sargent – all of whom were included in that volume, along with mainstream writers like Isaac Bashevis Singer and Bernard Malamud. The stories dealt in lively and often hilarious ways with aspects of Jewish experience, but all the contributors were American except Singer (who was an immigrant). Why no Israeli writers in an anthology of Jewish fiction, despite the long Jewish tradition of fantas­tic tales? 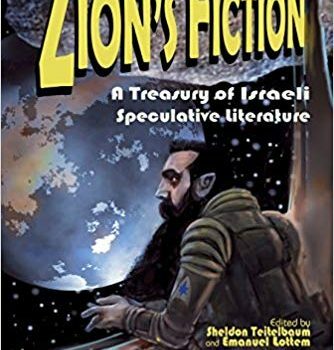 Some answers are provided in the long, scholarly, and completely fascinating introduc­tion that Sheldon Teitelbaum & Emanuel Lottem provide to their anthology Zion’s Fiction: A Treasury of Israeli Speculative Literature, which is just as ground-breaking in its own way as Dann’s was. “In a nation whose very existence was inspired by a SF/F vision,” they write, “SF/F was until recently completely beyond the pale, and even now most cultural luminaries shun it.” For reasons partly ideological and partly political, Israeli writers were encouraged to write “with all the grit and realism they could muster.” The book underscores the notion of an SF/F vi­sion inspiring the creation of Israel even with its quirky cover by Avi Katz, in which a figure drawn from a famous photograph of Theodor Herzl is given Spock ears and a pulp-era spacesuit as he peers at a new planet. 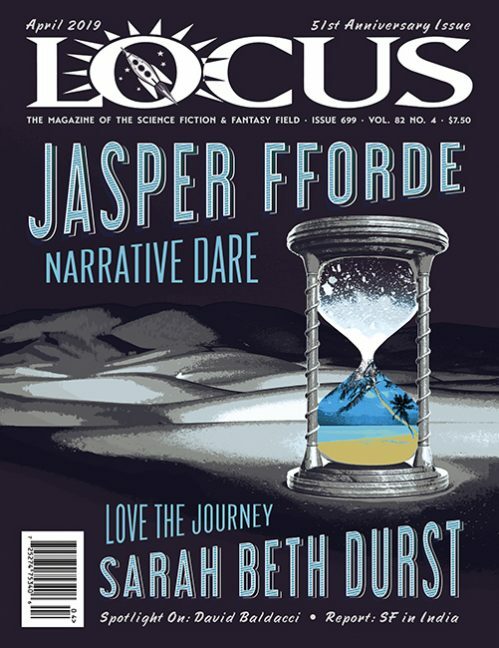 That historical disdain of SF – which of course isn’t limited to Israel – may also explain why, of the 16 stories collected here, only two date from before 2000, and the only name likely to be widely familiar to the general SF reader is Lavie Tidhar. 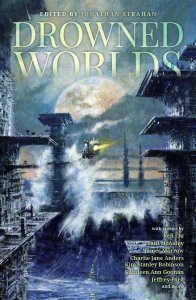 Nor is it especially surprising that Tidhar’s lead story, “The Smell of Orange Groves” from his Central Station sequence, is the most accomplished in terms of its deployment of classic SF techniques. I’d previously read only three of the other authors. 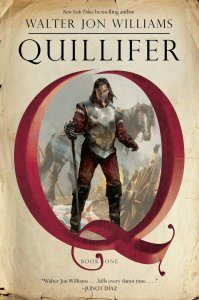 One was Nava Semel, whose remarkable alternate history Isra Isle was also published by Mandel Vilar, back in 2016. Her contribution here is a rather slight piece, “Hunter of Stars”, which begins with the stars suddenly disappearing one night, but focuses less on possible causes or solutions than on its effect on one grandchild’s sense of wonder. The second is Gail Hareven, whose “The Slows” ap­peared in The New Yorker a few years ago (and not even in their “science fiction” issue!). It’s also quite short, but develops its SF idea more fully, portraying a future in which an accelerated growth process has all but eliminated childhood except for the “savages” who live on preserves and still practice childrearing. The third, Shimon Adaf, wrote an earlier, mostly mainstream novel, Sunburnt Faces, which was nevertheless deeply engaged with the idea of fantasy (the protagonist was a YA fantasy writer) and which was pub­lished in translation by PS Publishing. In Adaf’s “They Had to Move”, SF again is more subject than substance: a beleaguered mom tries to get her son to focus with old issues of the Israeli SF magazine Fantasia 2000, where he becomes so engaged with stories by Sturgeon, Bester, and Zenna Henderson that he starts writing letters to the characters in them (an idea I somehow find immensely appealing). It’s a temptation best resisted to try to draw generalizations about a national culture based on fantastic fiction, but given the uphill literary battle for respectability described in Teitelbaum & Lottem’s introduction, it isn’t surprising that Adaf isn’t the only one whose story almost defiantly celebrates SF itself. The protagonist of Eyal Teler’s “Possibilities” is a writer of both grim dystopias and commercial children’s fantasy, who consults a kind of seer with “the ability to see what might have happened had you made a different decision at some point in your life”. In one of those timelines, he befriends his idol, Ray Bradbury. Alternate history also fea­tures prominently in Pesakh Amnuel’s “White Curtain”, in which a brilliant physicist goes renegade with his idea that he himself can alter timelines, even at considerable personal cost, as it turns out. Considering Semel’s earlier novel Isra Isle and some of Tidhar’s stories and novels, and risking exactly the sort of generalization I’d just cautioned against, one wonders if possible alternate timelines might seem just a bit closer to the surface in Israel’s fragile history. 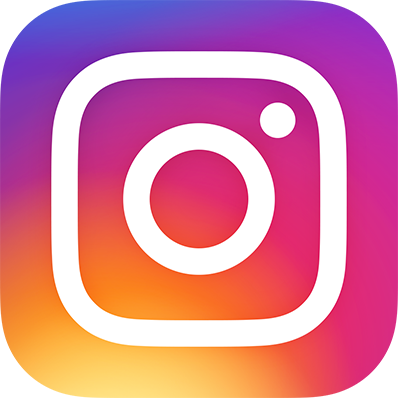 Oh, well – as long as we’re violating our own principles about overgeneralization anyway – so might ongoing fears of invasion, the dangers of being swallowed up by the past, and an abiding respect for the survival value of education. All of these figure in one of the most original and imaginatively daring tales, Keren Landsman’s “Burn Alexandria”, which takes place in a future at constant risk of alien invasion. When a strange, impenetrable sphere materializes, it carries not hostile aliens, but a woman “armed with eyeglasses and a scolding stare” who says she’s from “the Great Unified Consolidated Library of Planet Earth” – a time-traveling 31st century iteration of the classic Library of Alex­andria,” and a Borgesian labyrinth of almost infinite capacity, which preserves records from all of human history, going all the way back to papyrus scrolls and pottery shards. The weight of the past also informs another of the strongest stories, Guy Hasson’s “The Perfect Girl”, set in a futuristic school for promising telepaths, the most talented of whom can read thoughts of the recently deceased. When the narrator increas­ingly finds herself drawn into the memories of a young girl who committed suicide, she learns a bitter lesson about the meaning of pain. Another apocalypse of sorts is treated in a bi­zarrely comic way in Nitay Peretz’s sardonically titled “My Crappy Autumn”, which is crappy not only because the narrator’s girlfriend dumps him and he loses his job, but because his room­mate, after a bizarre traffic accident, becomes a supernatural healer and cult leader, who later gets his own personal UFO visit, while a junk­man’s donkey in the same accident gains the power of speech and Yoda-like wisdom. It’s one of the lighter pieces here, along with the almost equally absurd “The Stern-Gerlach Mice” by Mordechai Sasson, in which experimentally ir­radiated mice gain the ability to grow to the size of a house or shrink to microscopic dimensions. Originally published in 1984, it’s the oldest piece in the book, but it’s old-fashioned in another sense as well: it recalls those loopy pulp-era tales of ridiculous gigantism, in which a weak SF premise plays out for a story that doesn’t pretend to be speculative. Much the same is true of Gur Shomron’s “Two Minutes Too Early”, written in an almost Gernsbackian lecture-mode and imagining a thoroughly geeked-out future in which the most important contest in the world is a puzzle-solving competition in which teams of brilliant students try to outwit a master computer – complete with a hidden-genius twist ending that Gernsback would have loved. It’s the most pointedly retro piece in the collection. What we come away with, finally, is a sense that Israeli fantasy and SF is as lively and reward­ing as any body of SF, and just as diverse – both in terms of the topics and themes and in terms of modes of writing, which range from the seri­ously literary and almost postmodern to playful celebrations of older SF traditions. Teitelbaum & Lottem have done an admirable job of balancing these various voices and traditions, recognizing both mainstream writers who occasionally ven­ture into the fantastic and writers clearly aware of the genre they’re working in. One complaint that has nothing to do with the fiction itself, however, is that more than half the stories here have been translated, but that (at least in the ARC) the translators’ names appear neither in the contents nor on the stories themselves (although you can find them on the copyrights page). Translators – including editor Lottem, who translated five of the stories himself – get little enough recognition or remuneration as it is, and there are some excel­lent examples of the art here.